AP ICET Counselling 2018 will be held as soon as the results are declared. Many students are searching for the dates of AP ICET Counselling 2018. So in this article we are going to give information of Andhra Pradesh ICET Counselling 2018. 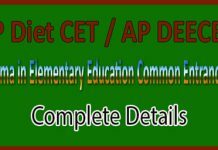 AP ICET is commonly known as the Andhra Pradesh Integrated Common Entrance Test. It is conducted and organised by the Andhra Pradesh University. 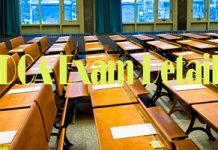 It is the state level entrance examination for the candidate, who are belonging from the Andhra Pradesh. 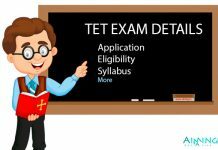 Those candidates are seeking to get admission for the AP ICET, they can join the regular courses in the Andhra Pradesh Universities and institutions. 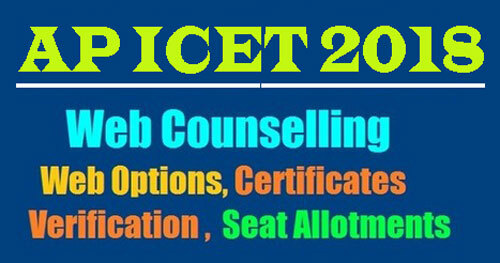 For all General and OBC candidates the AP ICET Web Counselling Fee is of Rs 900/-. For SC/ST candidates the AP ICET Web Counselling Fee is of Rs 450/-. Candidates who are willing to attend the ICET Counselling have to check Counselling dates rank wise carefully. Find your Rank wise Helpline centre & Date. The officials will do the Certificate verification & take the Xerox copies of Certificate of 2 copies. First of all, Login to the Andhra Pradesh State Council of Higher Education Board Official website. i.e., sche.ap.gov.in. Then, click on the AP ICET 2018 Tab. Then login to the URL given in the official notification. After that, generate password for the AP ICET Option Entry form using your registration mobile number. Then, carefully fill the options by looking into the manual options form. After completion of options filling check once. Don’t forget to click on logout button. After submission, there is a chance to change the college list if you want. The AP ICET Seat Allotment 2018 will be given by APSCHE. Then, you have to download the challan and pay the fee at the prescribed bank. Now, you have to carry the AP ICET Counselling Seat Allotment letter along with the challan to the given college. Here are the list of documents to be carried by the candidates while you are going to attend the AP ICET Counselling 2018. After the completing all the counselling process, by the result of seat allotment, the candidate gets the admission.